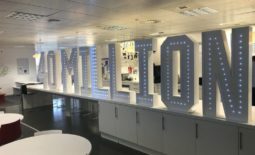 Recently I visited The Parsonage in Airth for the first time to deliver my white 20ft by 20ft LED dance floor and a set of 4ft giant letters. The Parsonage is located only a few miles from Kincardine bridge on the main road that passes through Airth. The Parsonage is in a lovely rural setting and has lovely grounds for you to have your wedding photographs taken in. The function room is a large marquee on the right hand side of the main building and is very easy to get to. For elderly guests this is very good as it’s all on the ground floor level. The marquee is a good size with a large stage which is ideal for a wedding band or wedding Dj to set up on. 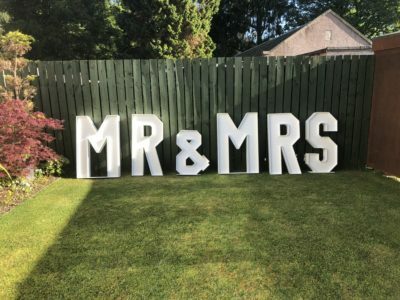 When I was there the marquee had been decorated with really nice lighting and I provided a set of giant letters saying “Mr & Mrs” which we put outside as we found a great spot to put them for photographs and it was a lovely sunny day. The marquee is really big and has the bar etc in it which is always good as your not splitting your crowd into two or more rooms. The toilets are attached to the marquee and are the luxury type ones on wheels. The Parsonage has lots of parking on site and this means you won’t need to worry about traffic wardens or feeding meters. 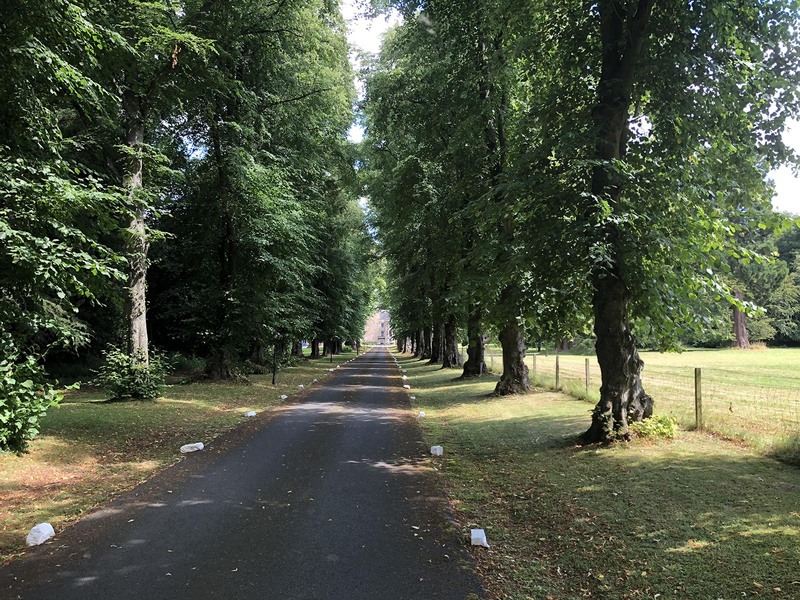 My preference for a wedding has always been to choose a rural location over a city location and The Parsonage has a rural feel about it but is only a few miles from Falkirk and around 30 miles from Edinburgh. Transport links to the Parsonage are very good with the M9 and M876 motorways very close by. I provided my white led dance floor at The Parsonage and my 4ft tall giant letters for the wedding I was booked for. My 4ft tall giant letters at The Parsonage, Airth. I’ve still to do a wedding disco at The Parsonage and I look forward to the day that I’m the Dj for a wedding there. My lighting always looks particularly good in an all white marquee and my wireless mood lights will look stunning there too! 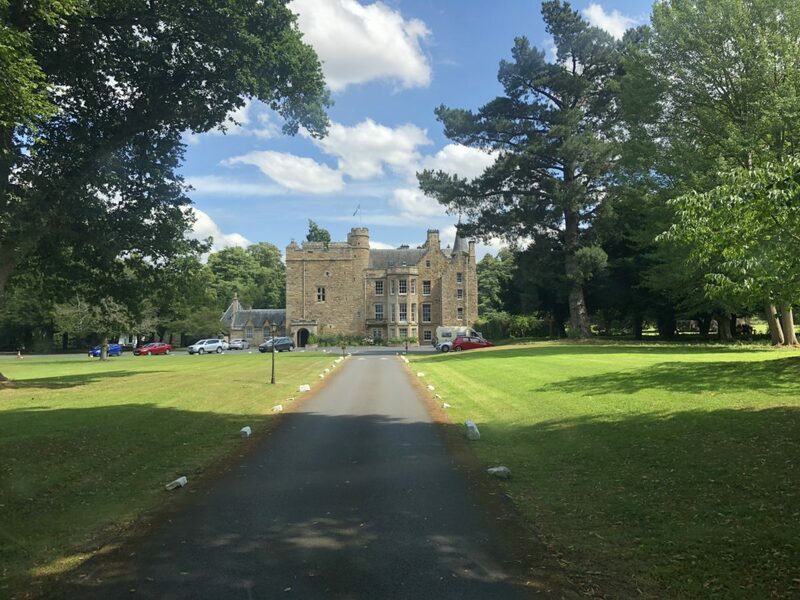 So if your getting married in central Scotland and your looking for a stunning venue that’s easy to get to then go and have a look at The Parsonage just outside Airth. The Parsonage At Dunsmore Park, Airth, FK2 8LU.